Engineers very seldom get to be invited to tour the world famous Worcester Art Museum which houses a medieval armor collection and many paintings. The Life Members will have a conducted tour May 15, 2019. This month’s meeting will consist of an introduction to the tour and will be presented by an expert docent. The Worcester Art Museum is home to several significant portraits from the Massachusetts Bay Colony, including portraits of John and Elizabeth Freake, and Captain Thomas Smith. During this presentation we will explore these significant portraits and several other portraits that demonstrate the transition in portraiture over the intervening centuries to the 21st century. We will look for clues to the occupation, status and perhaps even the identity of the subject, as well as view a few ghostly images. Finally, we will explore how important the brain is in interpreting what we see. Debra Wallace is a Docent at the Worcester Art Museum (WAM), Worcester MA. She completed her Docent Training at the museum. Ms. Wallace is devoted to fostering community engagement with the museum and enhancing the museum guest experience. Recently, she led the WAM Tour of the Month on Art in the Islamic World. 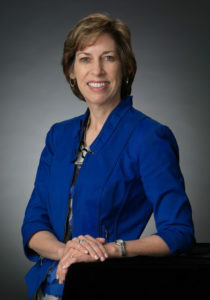 Previously, Ms Wallace led cross-functional and multi-organizational teams to design and implement new health plan products, utilization management programs, medical cost containment strategies, software development and new process definition at Fallon Health, and was recipient of the Fallon Health Extraordinary Accountability Award and Extraordinary Teamwork Awards. This expertise has followed her into the non-profit sector, where she facilitates strategic planning, business development and implementation. The meeting will be held at MIT Lincoln Laboratory’s Main Cafeteria, 244 Wood Street., Lexington, MA at 4:00 PM. Refreshments will be available at 3:30 PM. Please use the Wood Street Gate to the Laboratory. Follow signs from outside reception to the Main Cafeteria (elevators are available via reception).